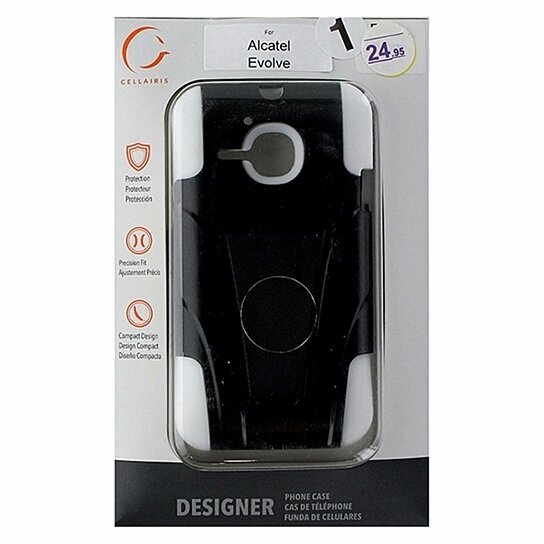 Cellaris brand products, Dual Layer Protection Case for Alcatel Evolve. Black hardshell exterior with a White trim and interior layer. Built-in Kickstand.